3P Net online directory is designed to facilitate a worldwide network of Procurement Professionals and link them to potential Public and Private sector clients. Estimated at $9 Trillion value globally, public procurement has evolved into a multi-faceted and multi-sectoral specialization. Effective public procurement calls for Just-in-Time advisory, consulting and collaboration that spans sectors, countries and often, continents. 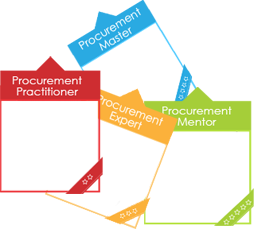 Hence, there is a clear need for a dedicated online platform for procurement professionals to project their professional profiles, share their key competencies, strengths and interest areas to counterparts else where. 3P Net online directory is also in response to the request from many senior Public Procurement officials for an IT-enabled mechanism to locate the best feasible procurement expertise from around the world. Procurement iNET and Procurementlearning.org, the online learning and networking platform powered by the World Bank, dedicates this unique 3P Net online directory to the public procurement profession. Individuals may choose to display this Title on their public profiles within the 3P Net online directory.